« Can Walt Disney World Cast Members Strike? After playing escape rooms all over the globe from London to New York, Los Angeles and beyond, what’s my favorite, you ask? There are a lot of great games out there. For example, in London there’s a game where your job is to find a bottle of wine hidden by the corpse of a headmistress in a gorgeously decorated attic from the 1920s. In Los Angeles, you’re trapped in a basement by a deranged psychopath who’s looking to kill you if you don’t solve the deranged puzzles he’s set out for you in one hour. 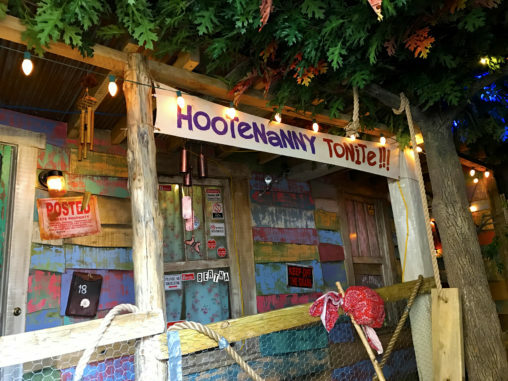 But if I had to had to pick the standout favorite, it’s an escape room about making illegal moonshine in a redneck’s shack in Gatlinburg, Tenn.
You heard that right, Big Maw Bertha’s Fussin’ & A’ Feudin’ Moonshine Hill Hootenanny gives a tongue-in cheek-tribute to the mountainous region that surrounds the game. 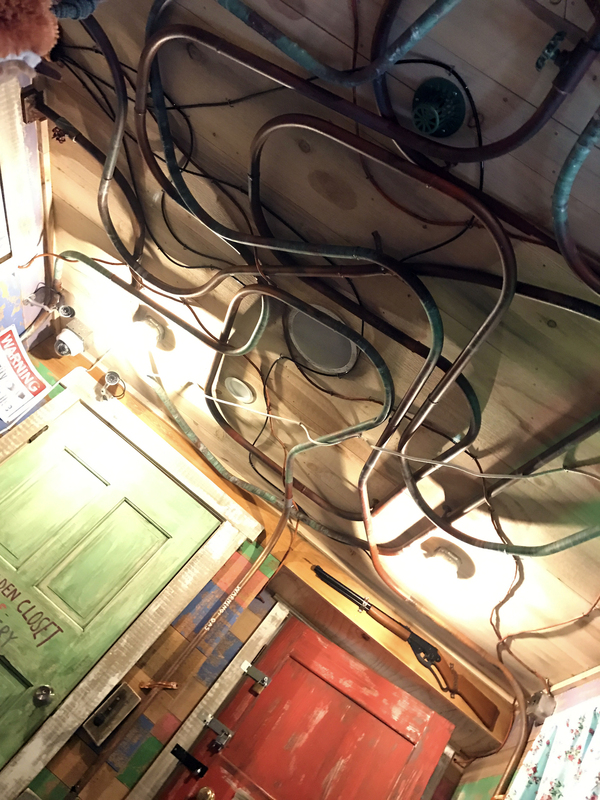 Currently one of two incredibly detailed escape rooms at Gatlin’s Escape Games (a third is on the way), Big Maw Bertha’s feels like you stepped out of the log on Splash Mountain and into one of the show scenes. Could Bertha have lived around the corner from Brer Frog and Brer Rabbit? I’d like to think so. You’d be hard-pressed to find many theme park attractions (including Disney and Universal) dripping with this much detail and charm. 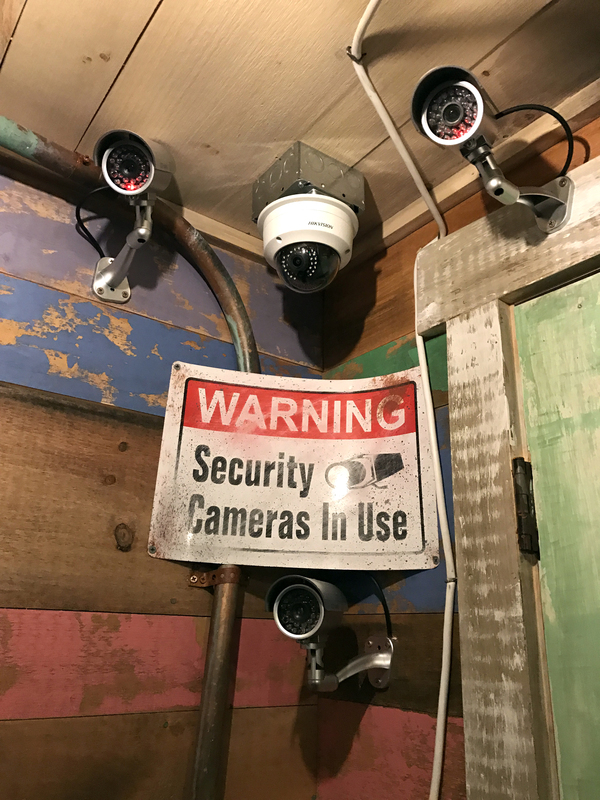 Security cameras for an escape room are a must, but often are visually intrusive to the game as they don’t necessarily fit the theming. Bertha takes the redneck approach to modifying her shack and embraces those cameras to make sure no one steals her moonshine. There are gobs of details like this all over this game. Clues on paper plates, clocks made out of hubcaps and even an outhouse with some unique carvings. The puzzles found in an around Bertha’s shack are right down the middle. Not too hard for a beginner and difficult enough to keep a seasoned escape room veteran satisfied. More importantly, every single one of them fits the theme of the game. This is also key: every puzzle was custom made for this game. Seasoned veterans of playing escape rooms know what I’m talking about. You won’t run across any puzzles or game element and know you’ve played it somewhere else. This sense of cohesion is not easy to pull off in an escape room. And Bertha absolutely nails it. What I love most about the game is the intended tone it presents. Let’s be honest, with a game that pokes fun at rednecks right in the heart of Tennessee, Big Maw Bertha could come across as mean-spirited or even condescending. To the contrary, this game walks the line of poking fun at backwoods culture, while not crossing the line of going too far. Make no mistake about it, this is the first time I have genuinely laughed out loud during an escape game. I can’t give too much away, but there is a puzzle using a television that is not only ingenious but truly clever and funny. Finally, the title Big Maw Bertha’s Fussin’ & A’ Feudin’ Moonshine Hill Hootenanny actually delivers. 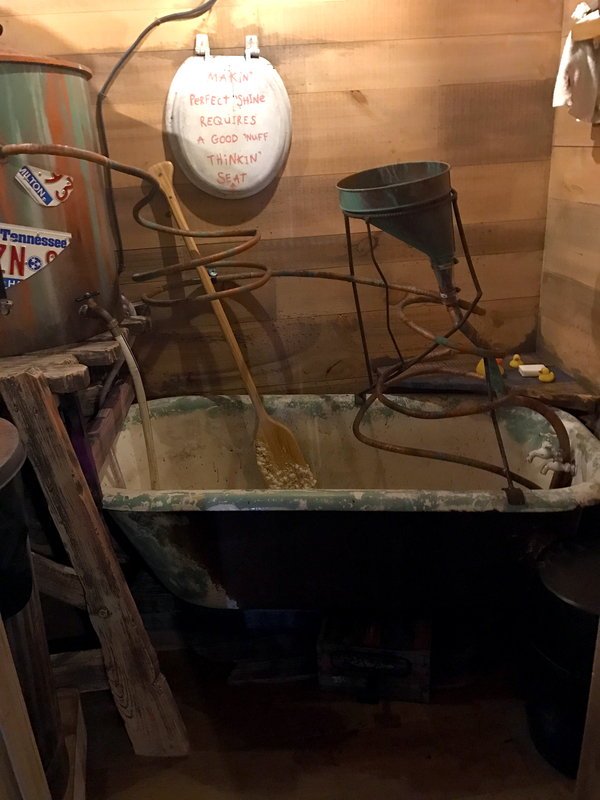 You really get to concoct (fake) moonshine. If you’re looking for illegal pure grain alcohol, you’ll be disappointed. However, the process, recipe and even some of the ingredients are true to form. Possibly the best endorsement I can give Big Maw Bertha? I’d play it again. Several times. Escape room veterans know what I’m talking about. Once you play a game, regardless of how good it is, you’re highly unlikely to play it again. You’ve solved the puzzles, you know about any secret passages… even if you rate it a 10 out of 10, you’d be hard-pressed to go back. I can genuinely say, I will play Big Maw Bertha’s Fussin’ & A’ Feudin’ Moonshine Hill Hootenanny again. And yes, I won the game with time to spare. I can’t recommend this enough. If you’re going to be in Gatlinburg and are looking to book a game visit Gatlin’s Escape Games. Many thanks to our friends at Escape Authority for setting up this game and the images used in this post. 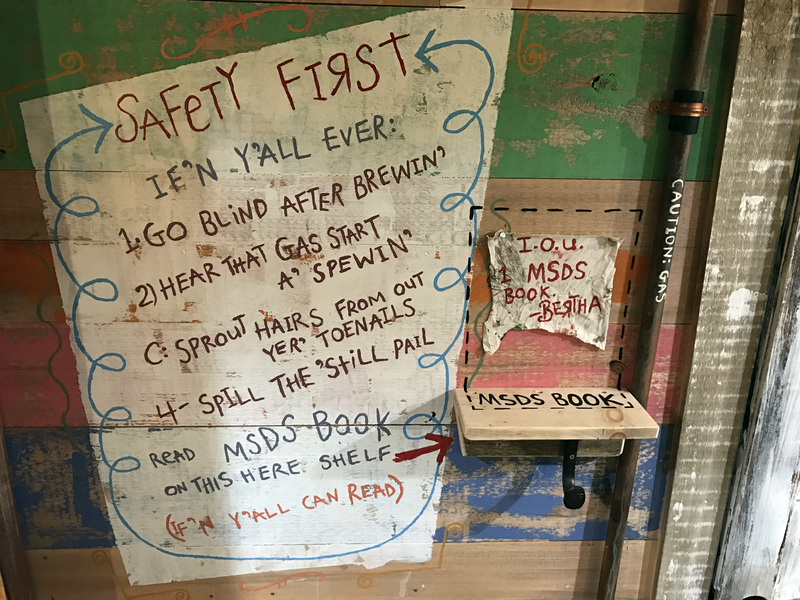 This entry was posted in Outside The Parks and tagged Big Maw Bertha, Escape Game, escape room, Gatlin's Escape Game, Tennessee. Bookmark the permalink. Trackbacks are closed, but you can post a comment.